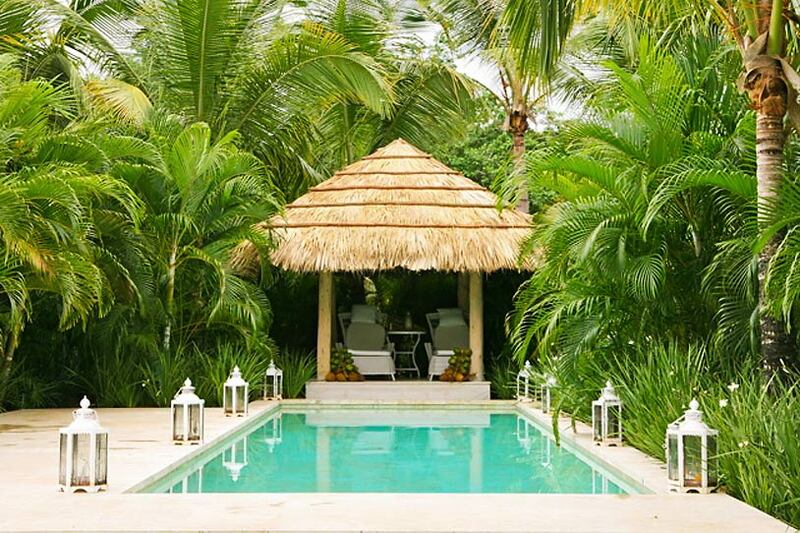 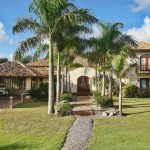 Indulge yourself and all your family and friends by spending some quality and unique time in a secluded luxury 4 bedroom villa amid evergreen grass and palms dancing gently with the soft Caribbean breeze. 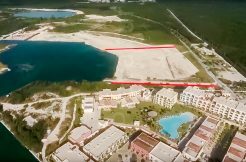 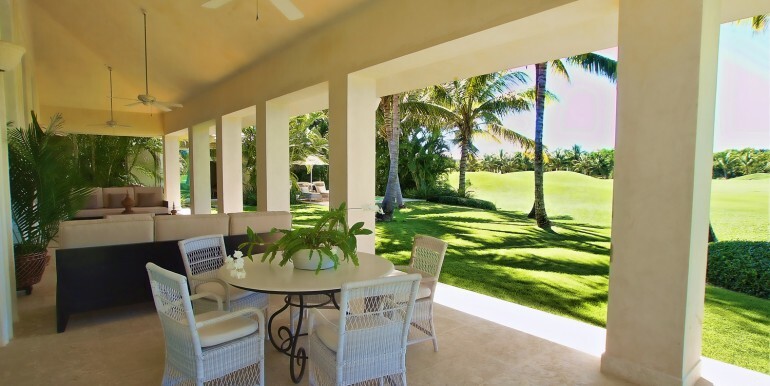 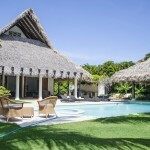 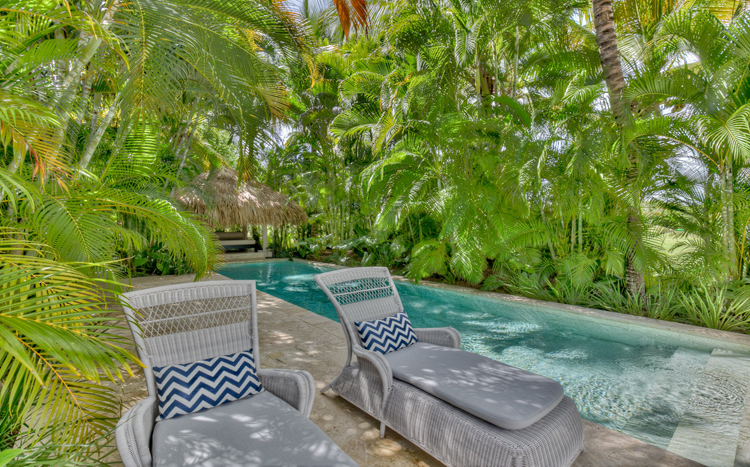 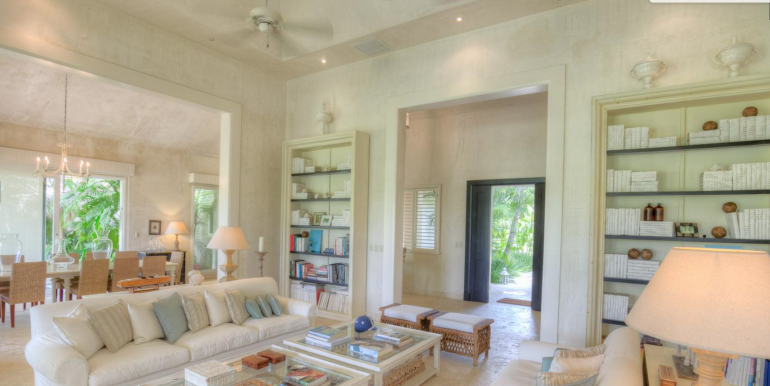 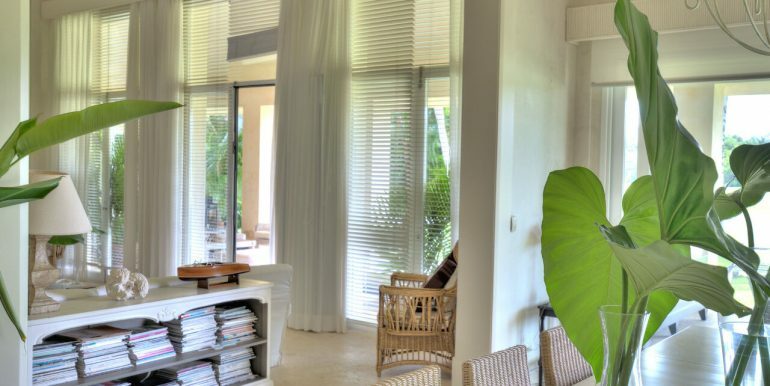 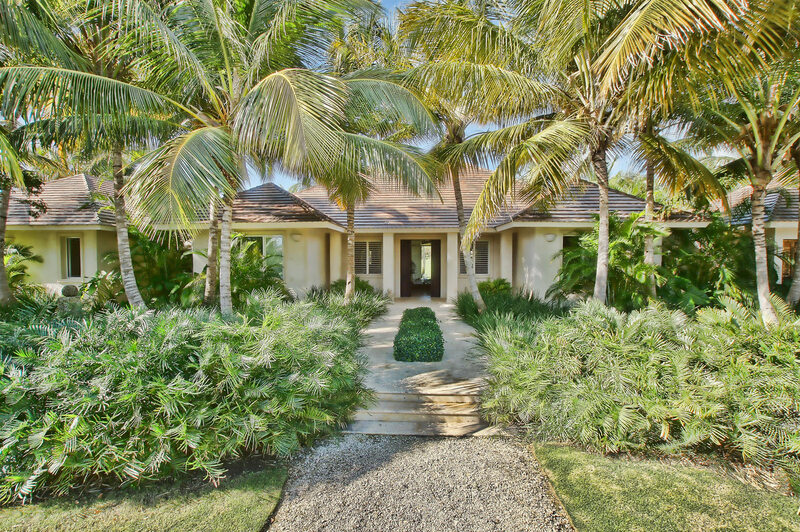 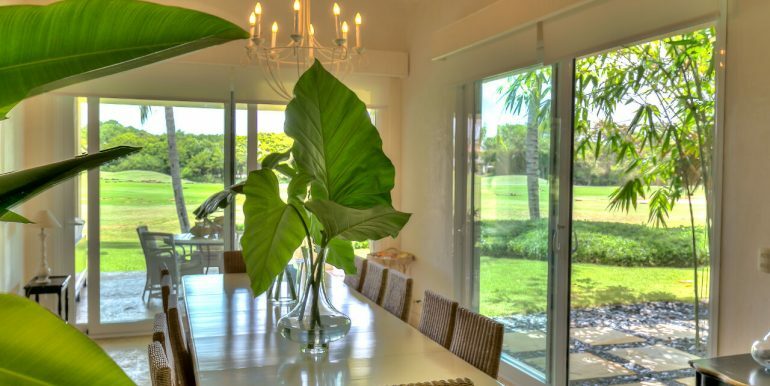 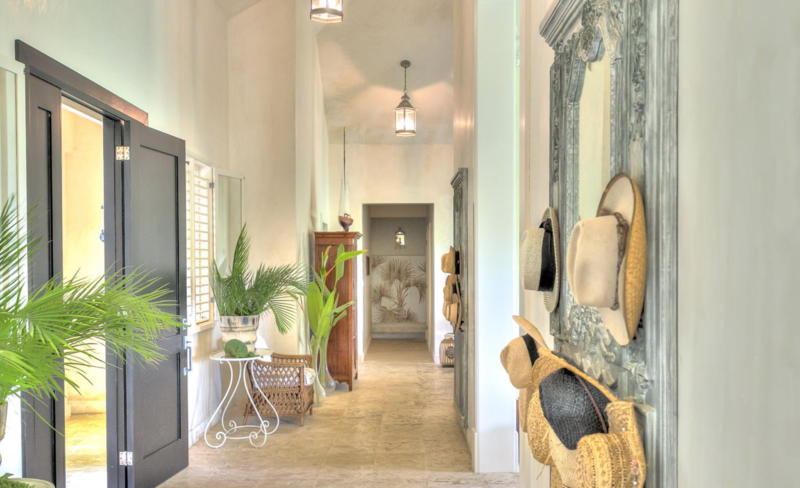 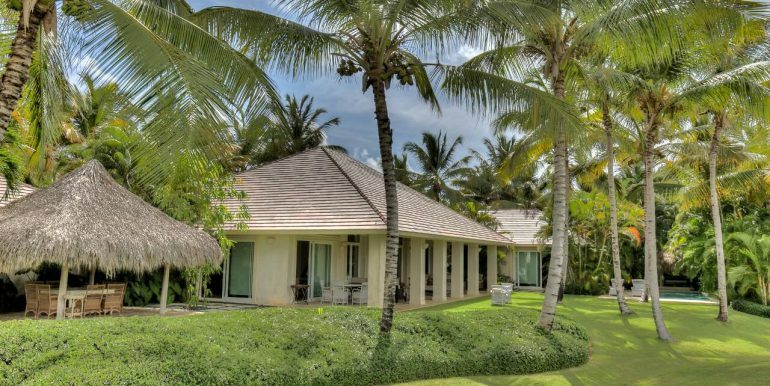 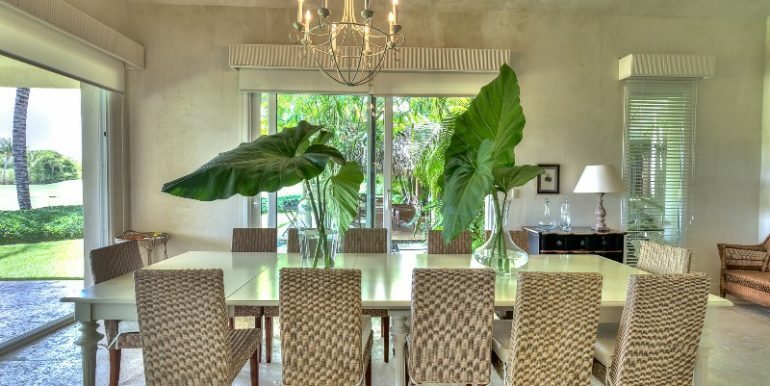 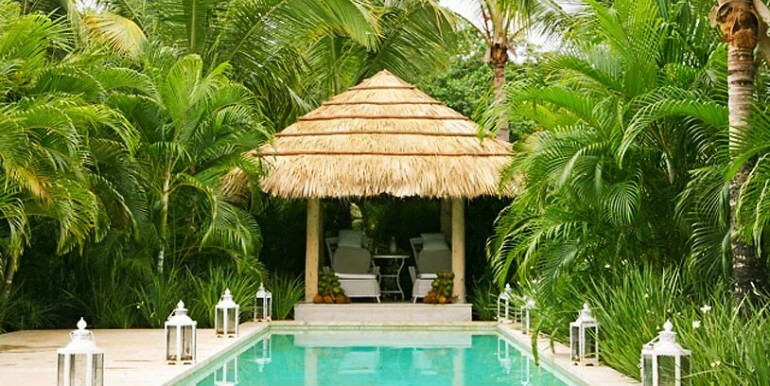 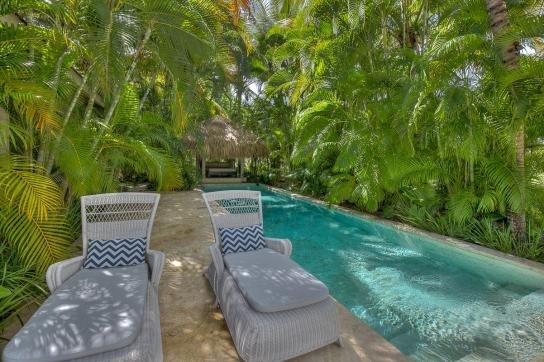 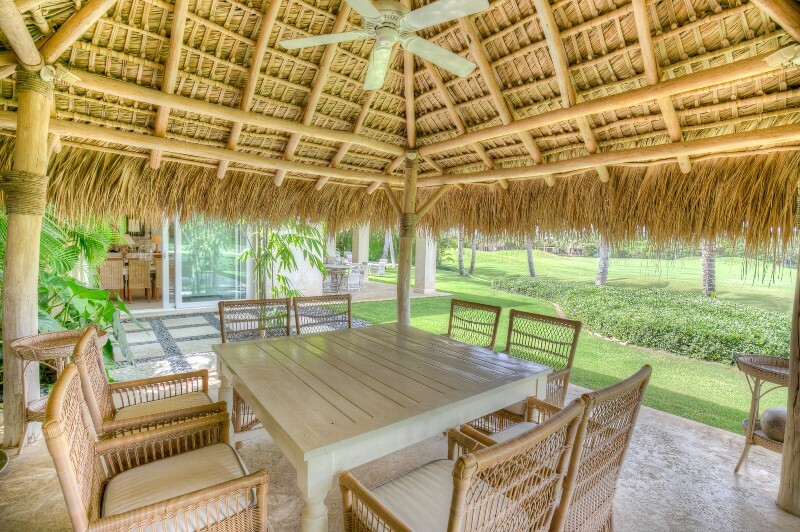 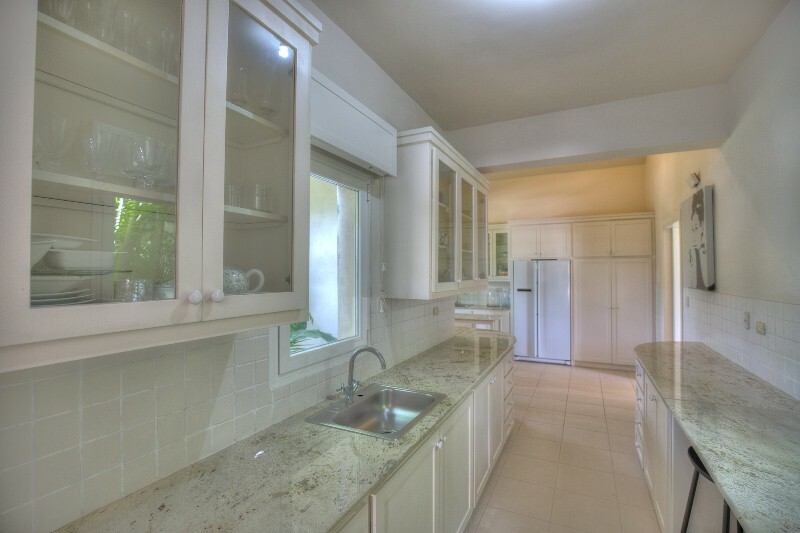 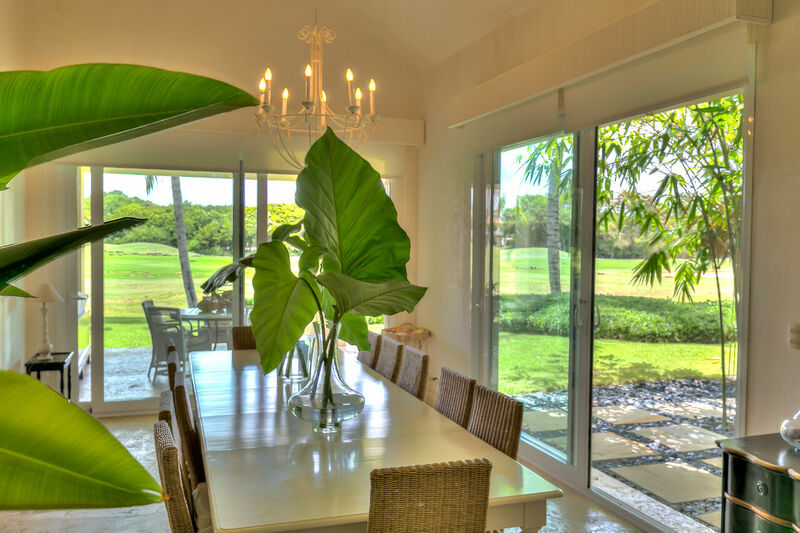 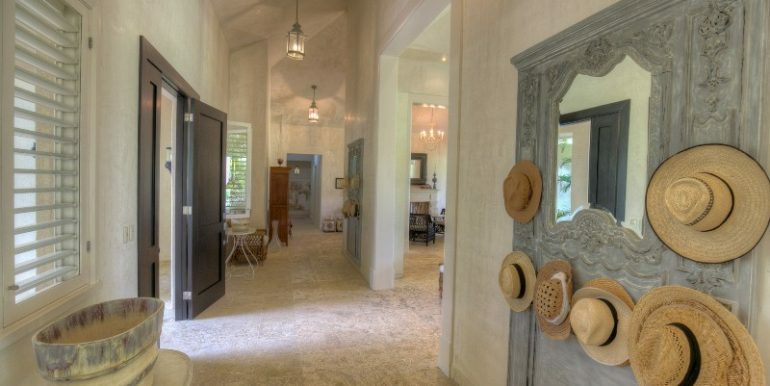 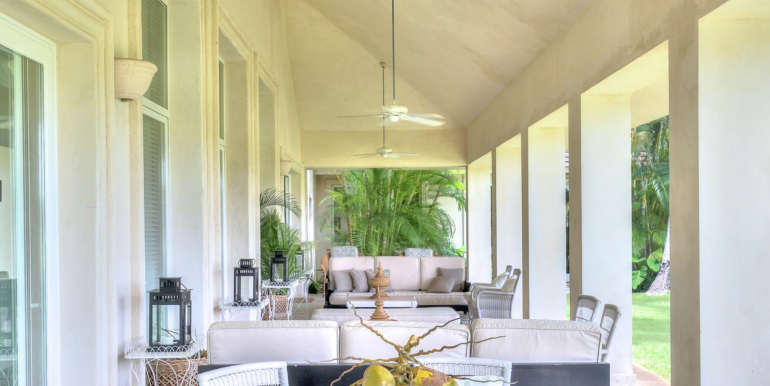 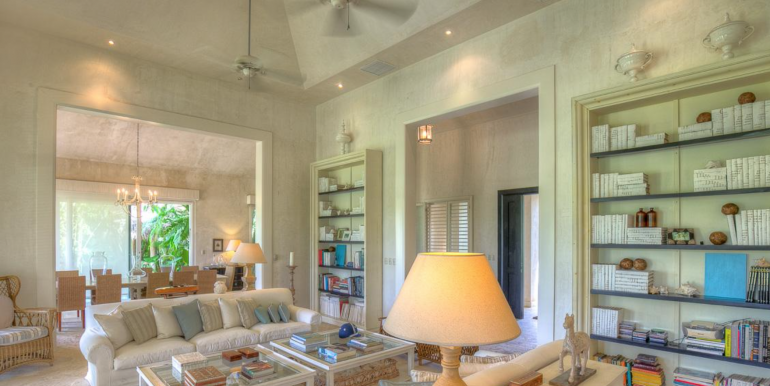 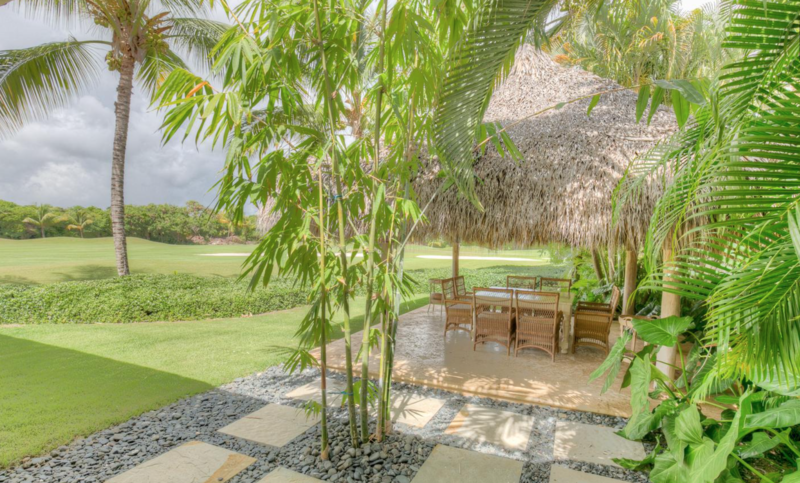 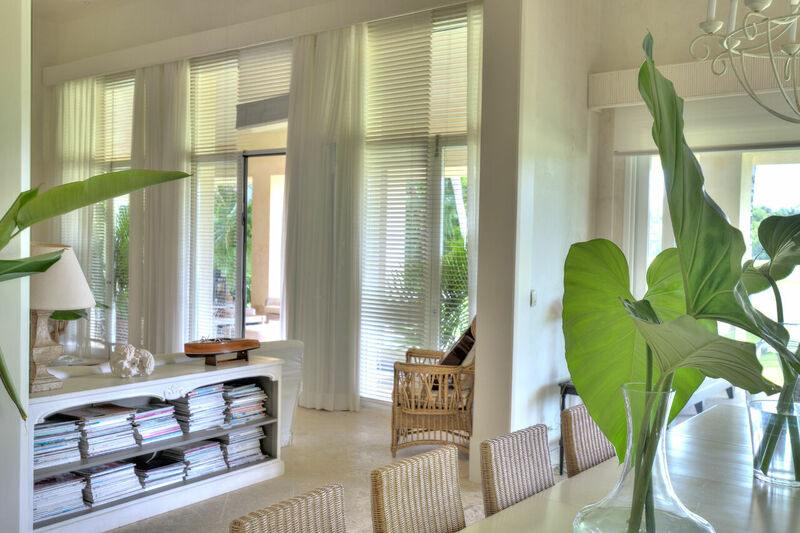 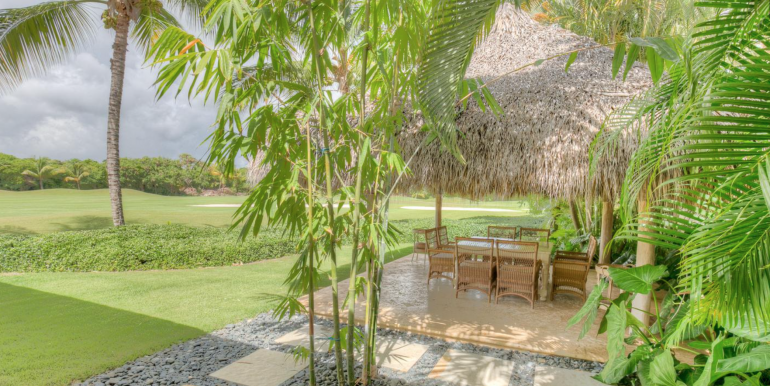 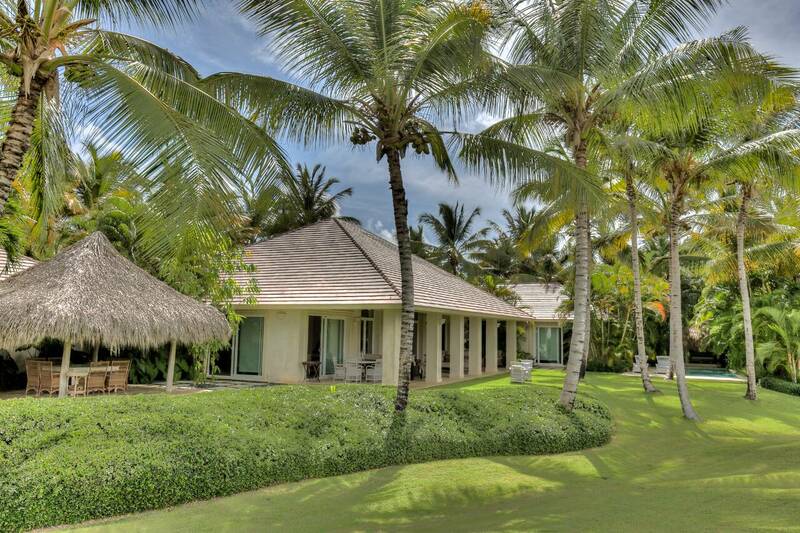 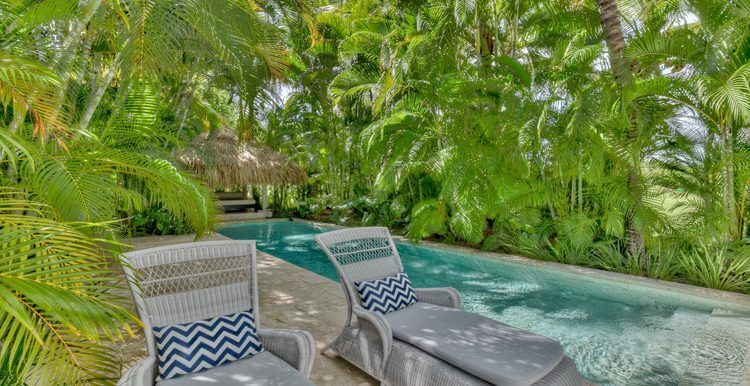 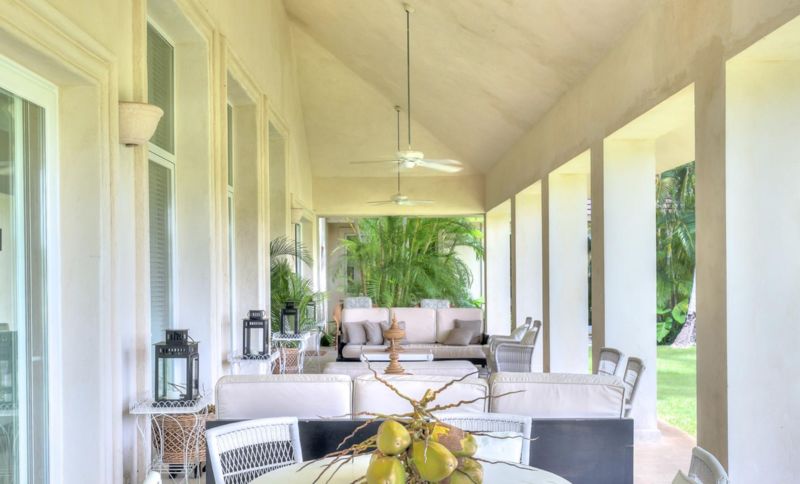 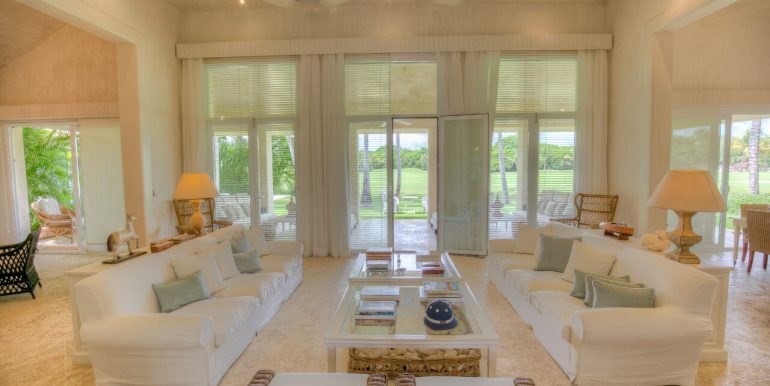 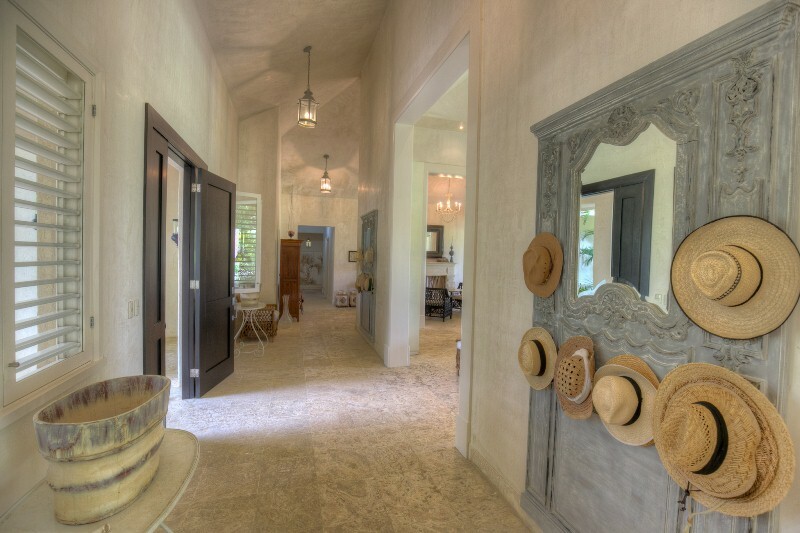 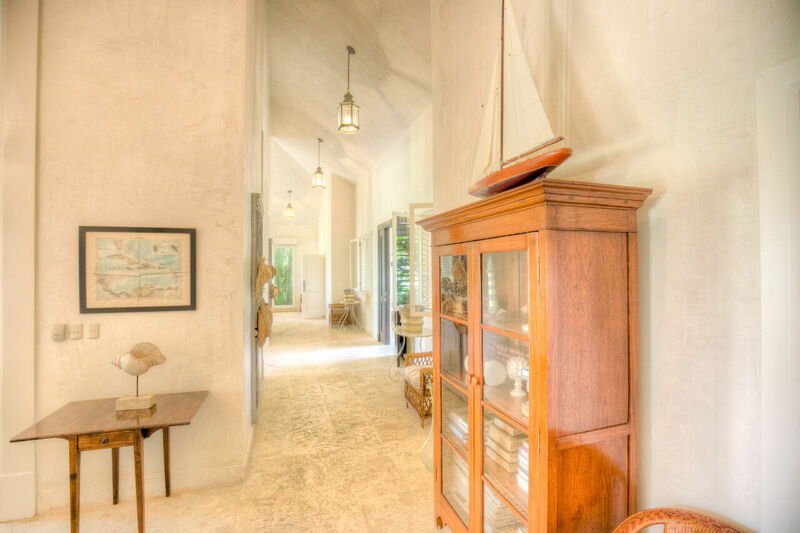 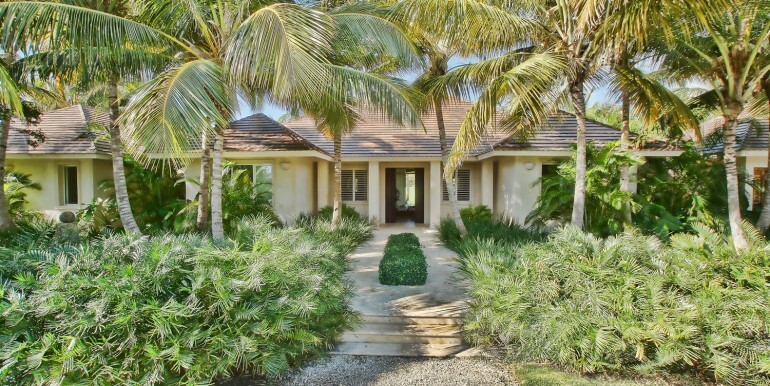 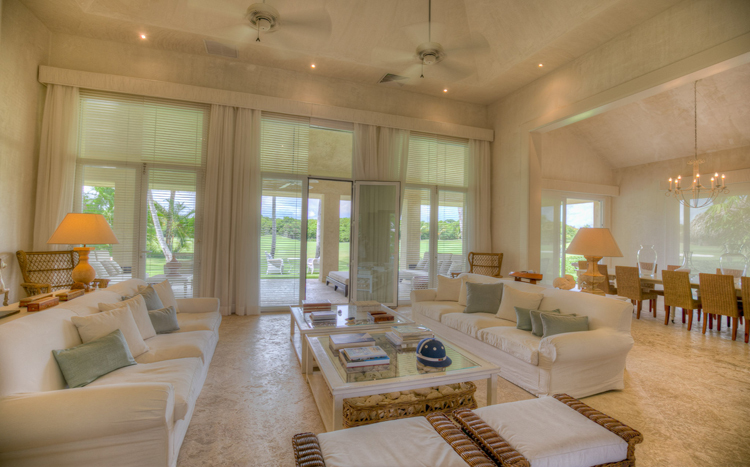 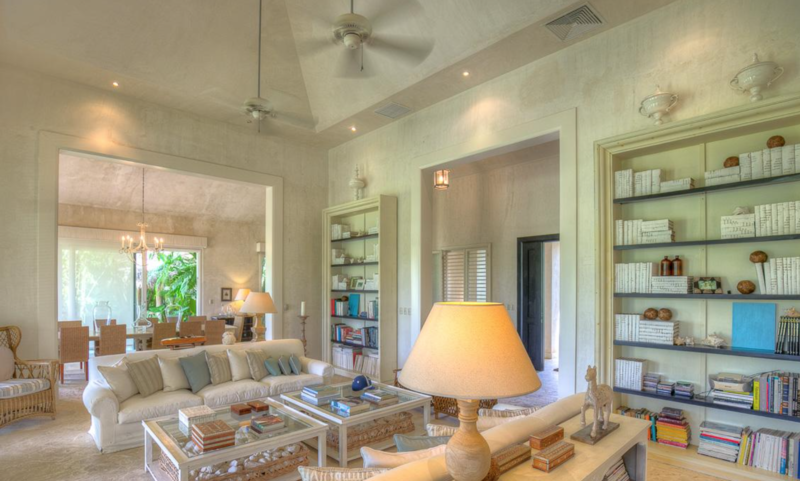 This amazing property is nestled in one of the most refined neighborhoods of the gated village Punta Cana Resort and with an oustanding view to the Corales Golf Course. 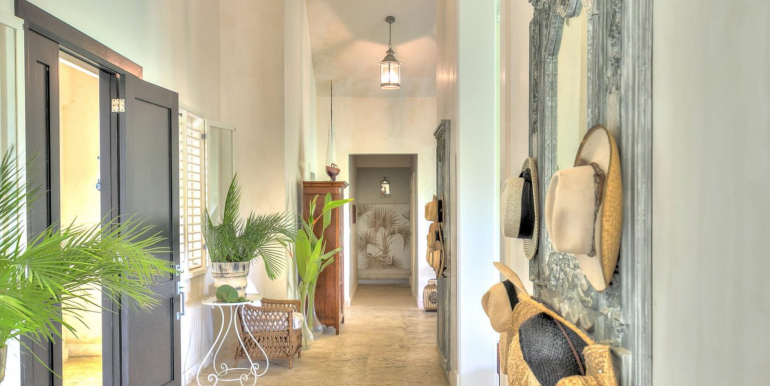 Once inside you will feel and see a rustic, yet sophisticated and primitive decor ambiance inviting you to the large living room and to the fully equipped kitchen. 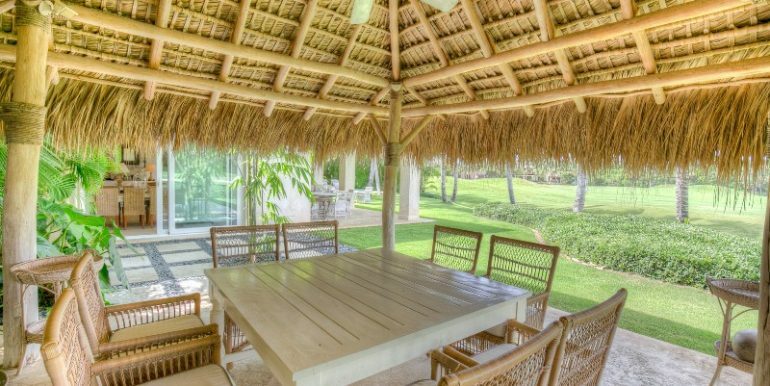 Walking along the dinning room you will have access to the wooded garden with a long swimming pool to cool off after a long beach day. 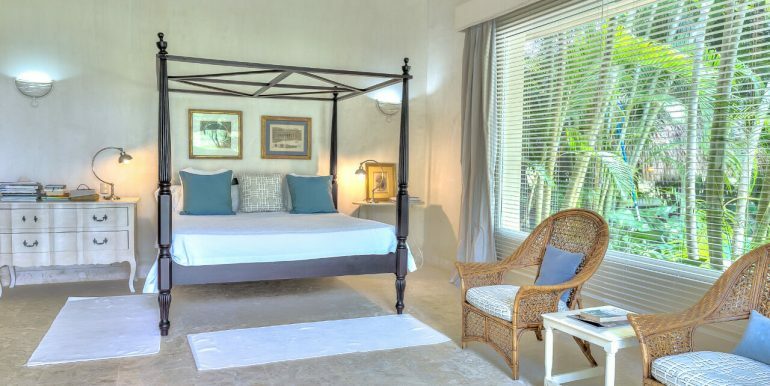 All 4 bedrooms are on ground floor, where the master bedroom has a king size bed with an ensuite bathroom, the second bedroom has two queen size beds with its private bathroom, then the third bedroom has one queen bed and the forth has one queen size bed and a twin bed. 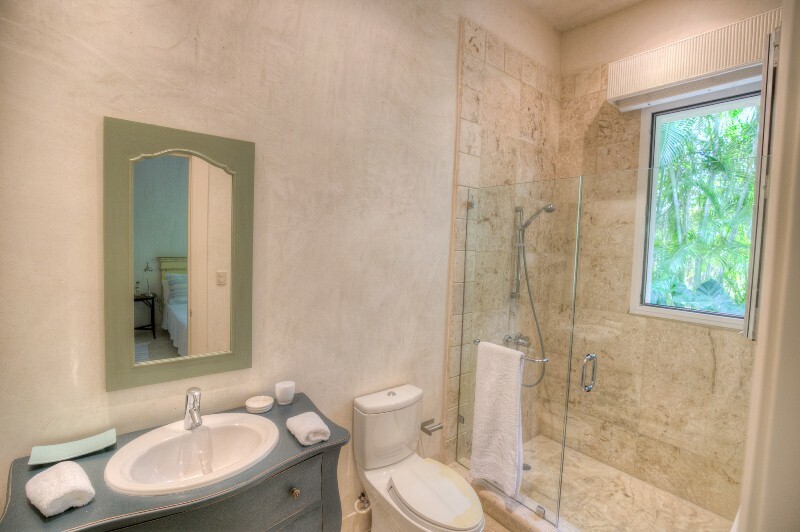 Both last bedrooms have an ensuite bathroom each. 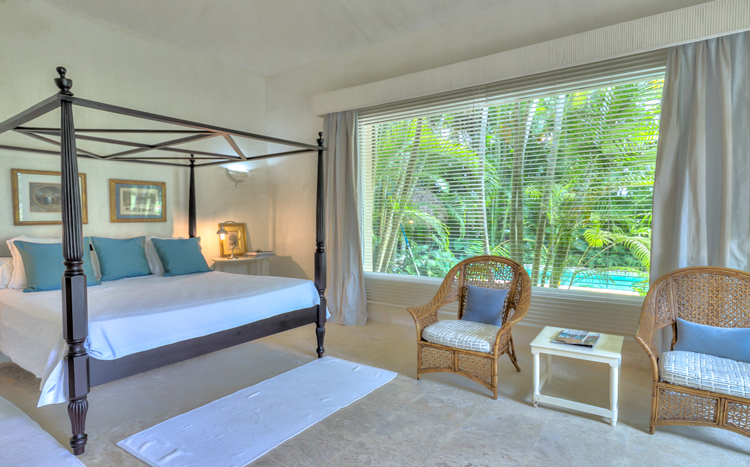 The master bedroom includes a king size bed, the second bedroom has two queen beds and the two other bedrooms have one double bed and one sofa bed available in both. 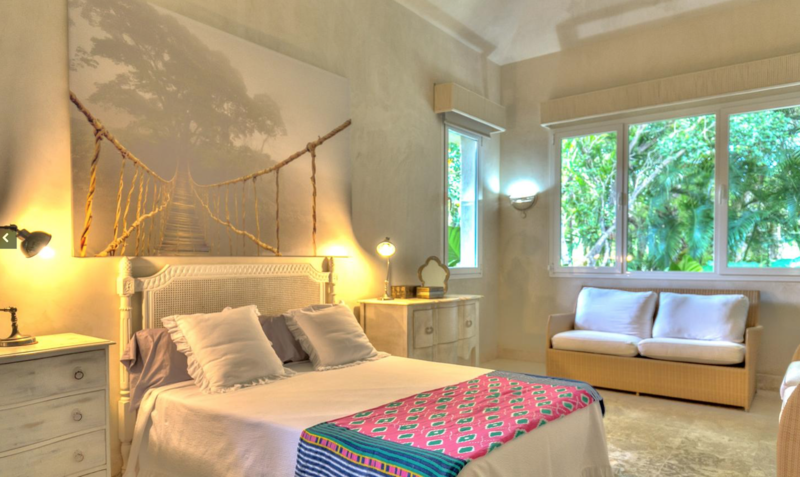 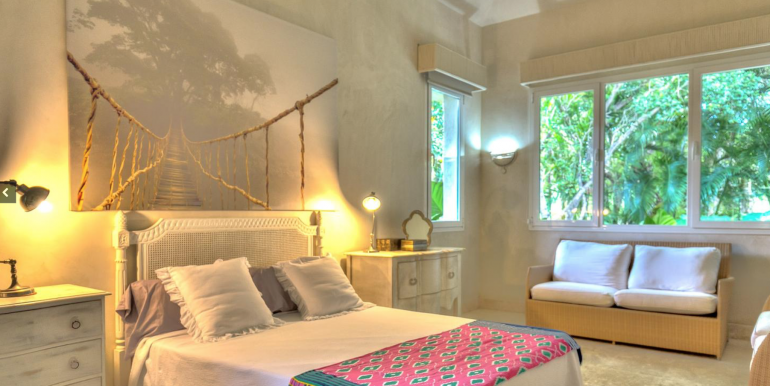 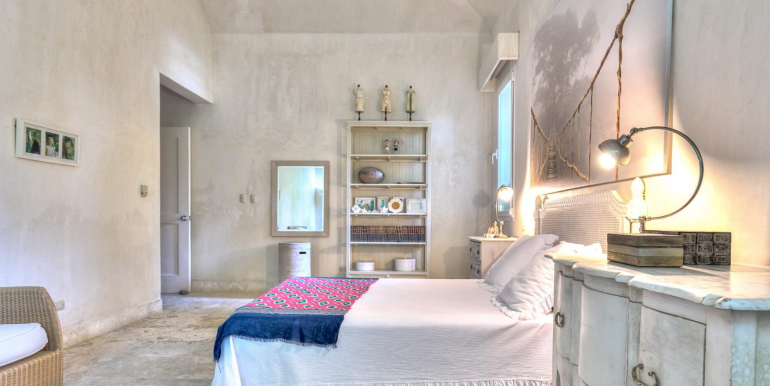 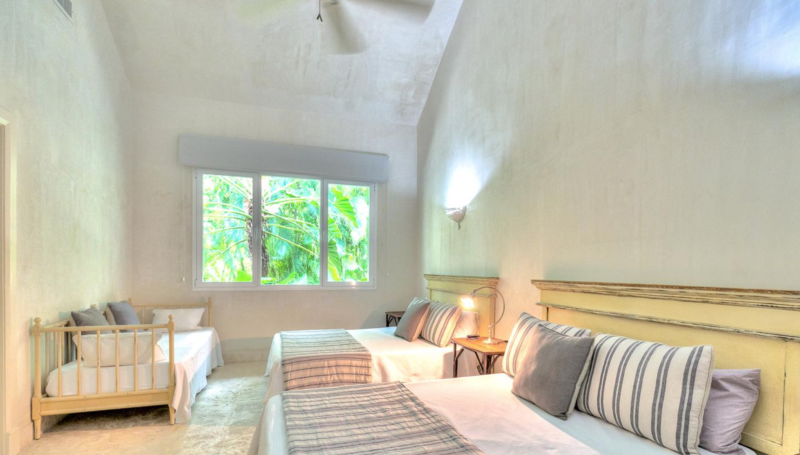 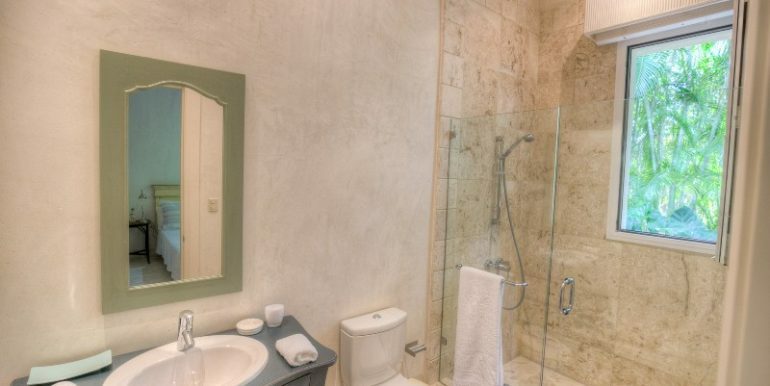 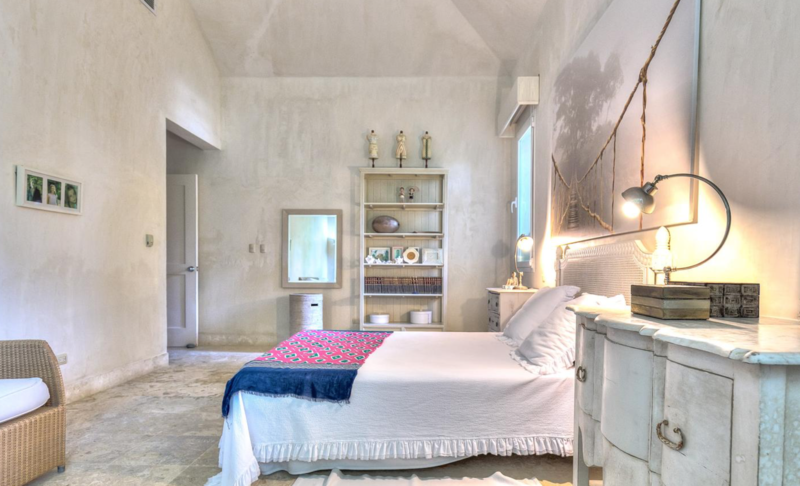 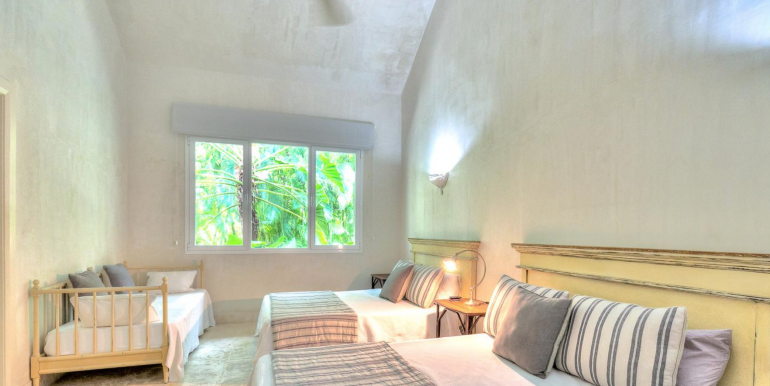 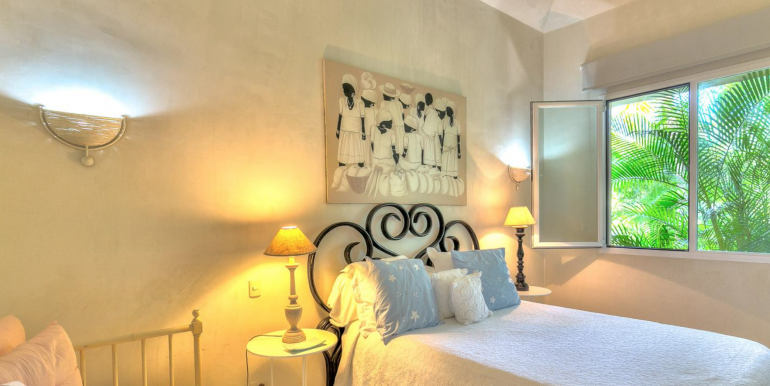 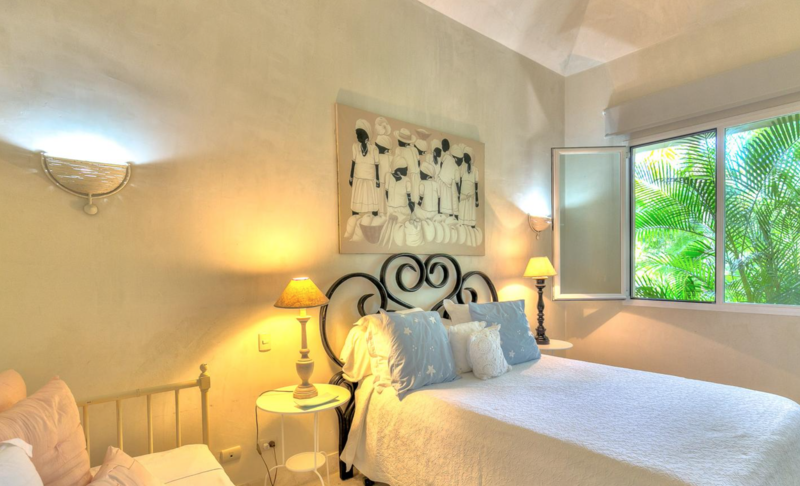 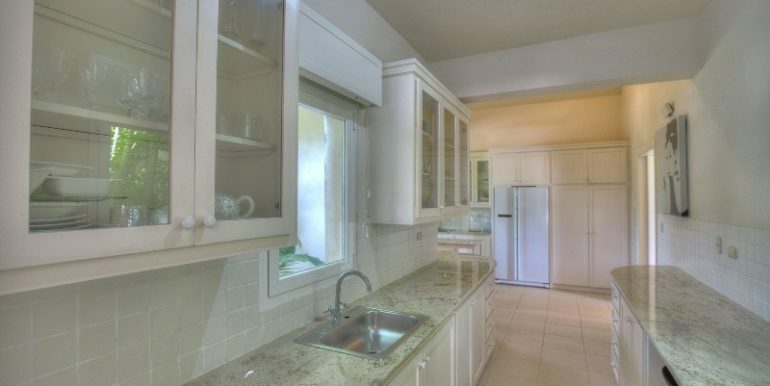 All rooms include air conditioning, private bathrooms and walk-in closet. 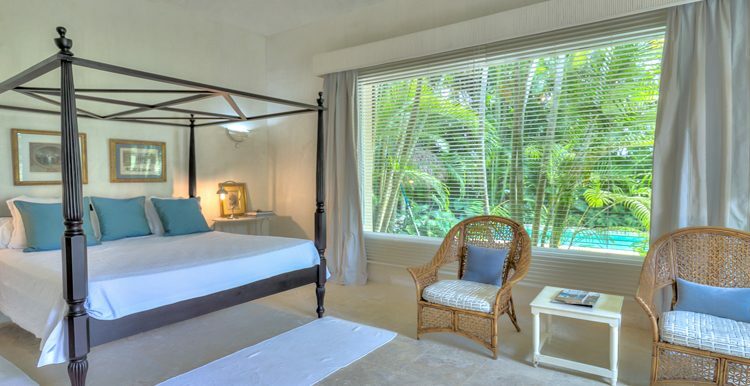 Master bedroom has in room TV with Cable. 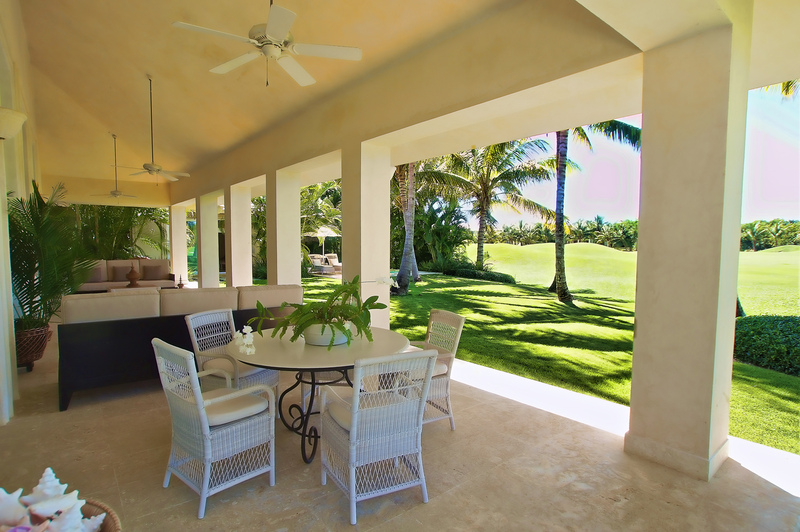 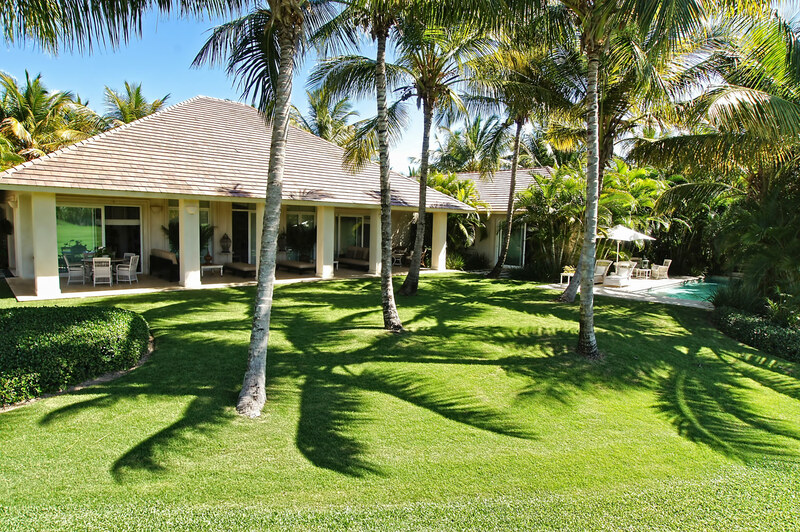 This villa is located In the Arrecife neighborhood (the back nine holes of the ‘La Cana’ Golf Course) of the Punta Cana Resort & Club. 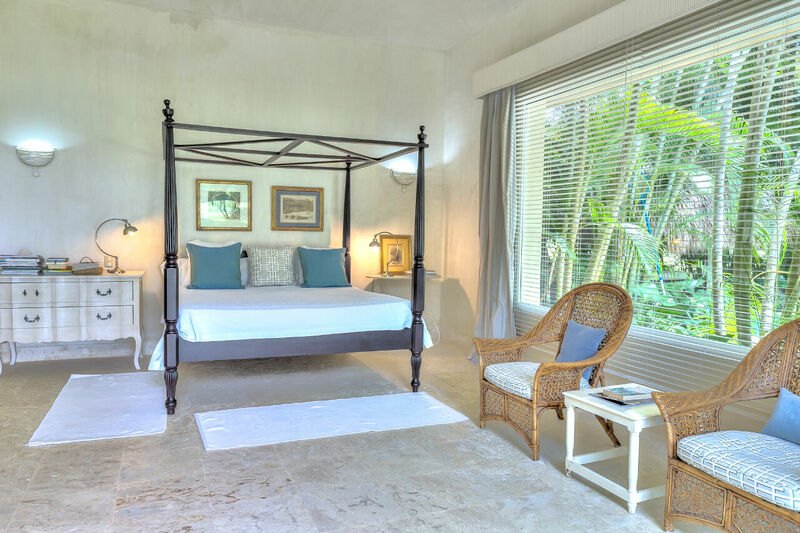 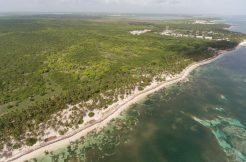 The resort features beachfront hotel accommodation, three miles of white-sand beach – the longest in the Caribbean a beachfront clubhouse, water sports, horseback riding, tennis, nature reserve, children’s activities and evening entertainment. 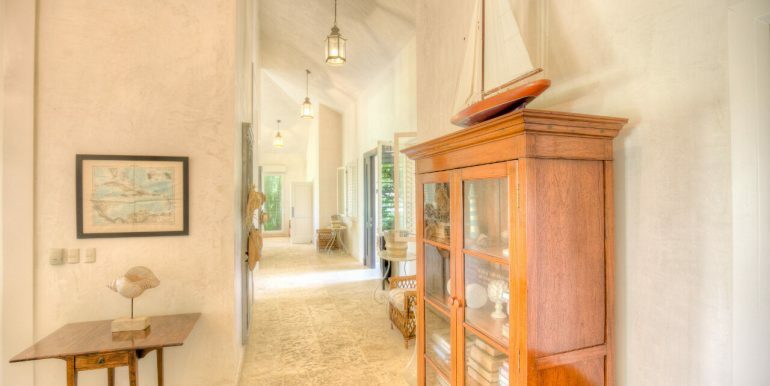 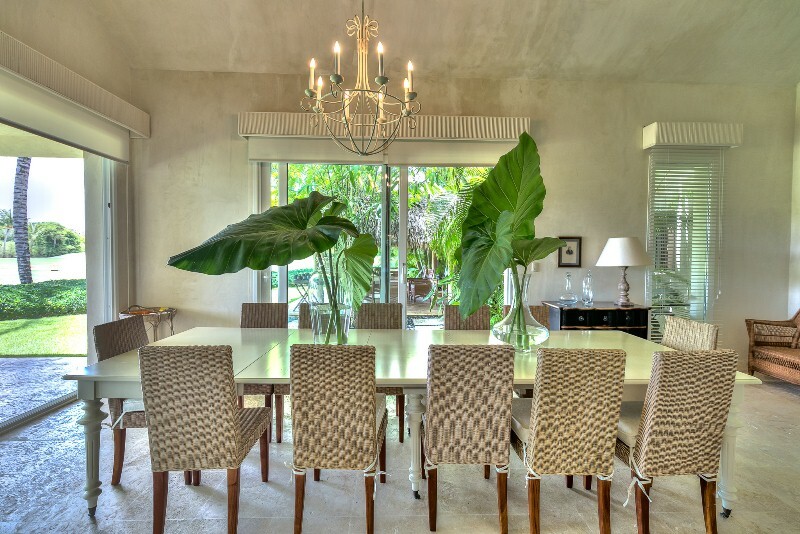 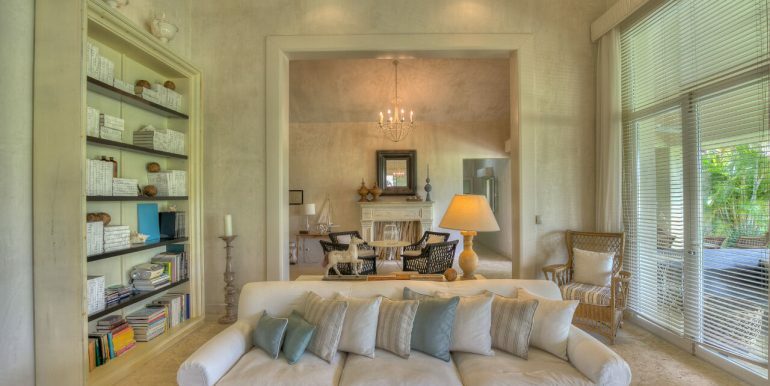 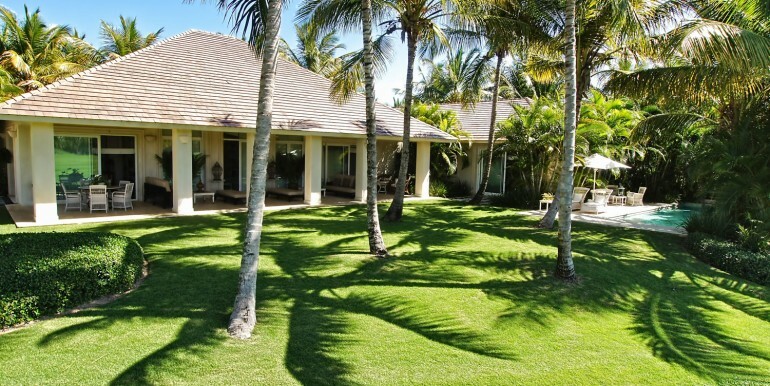 Located 5 minutes from the airport and 3 minutes from the spectacular 3-mile beach and sparkling turquoise waters.